I got a fair amount of sun yesterday during my outdoor yoga classes and was feeling a bit trashed this morning when I got up. My day was pretty good though. Work was kind of slow for most of the day though it picked up a bit in the afternoon. 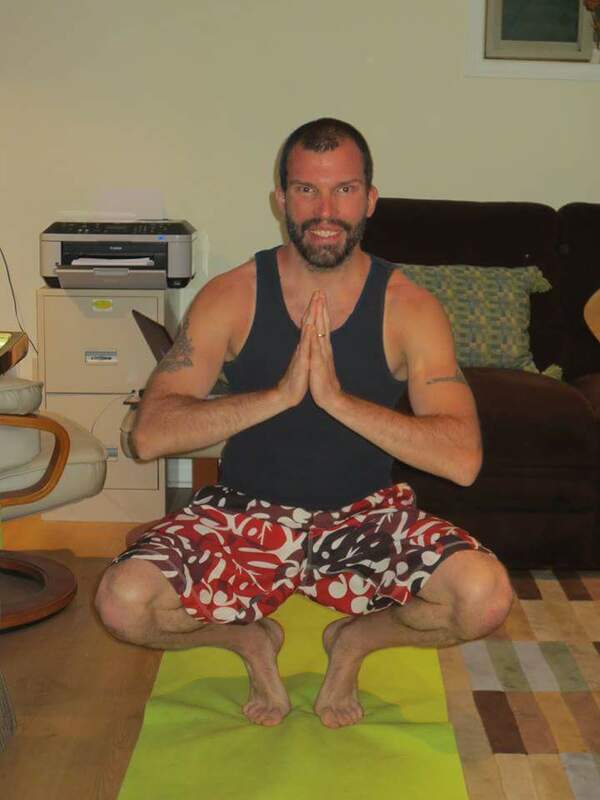 I’m taking a 30 Day Yoga Challenge and am on Day 22! Ten minutes a day of yoga and its been great! I usually do each challenge in the morning but today I wasn’t up to it. I’m having a bit of a rest and going to get at it! I’m debating on taking an 8:30pm yoga class at Moksha but we’ll see how I feel. 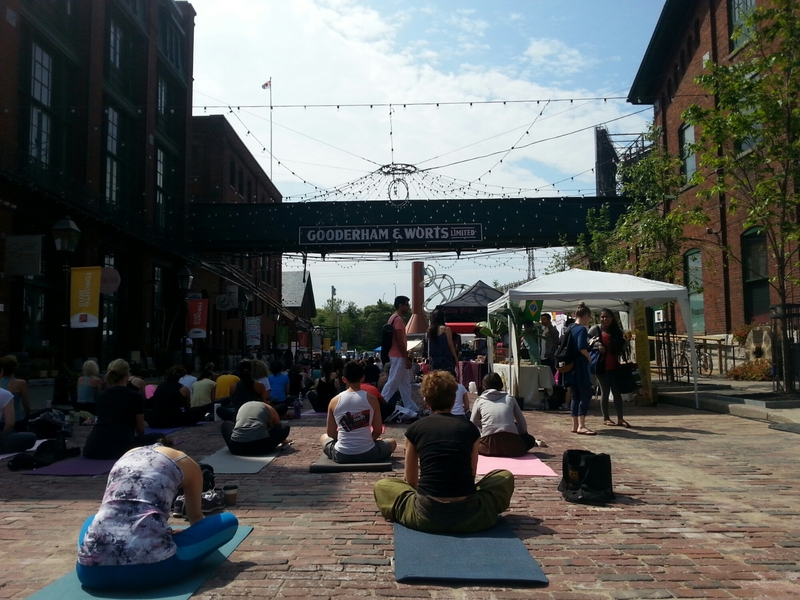 Today I went to Toronto’s Distillery District to do yoga outdoors for International Yoga Day! It was calling for rain but it turned out to be a beautiful day! I did two classes got some lunch and am now on a GO bus back to Brampton! I took some photos which I’ll post below. I’ve been doing a lot of yoga lately. I’ve been into yoga for a couple of years now. A friend of mind has been working in getting her certificate to be a yoga teacher and she was giving free yoga go get experience and new clients. I learned a lot from her and I also practiced on my own with yoga dvds at home. 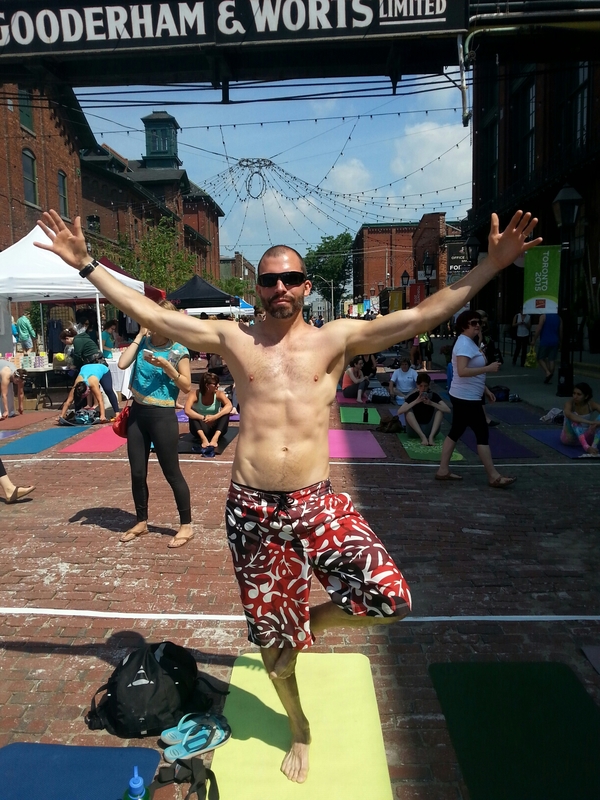 A couple of weeks ago I joined Moksha Yoga Studio in Brampton where I live. I’ve never been a part of a yoga studio before and I’m loving the classes! I’ve been making it 4-5 times a week so far. 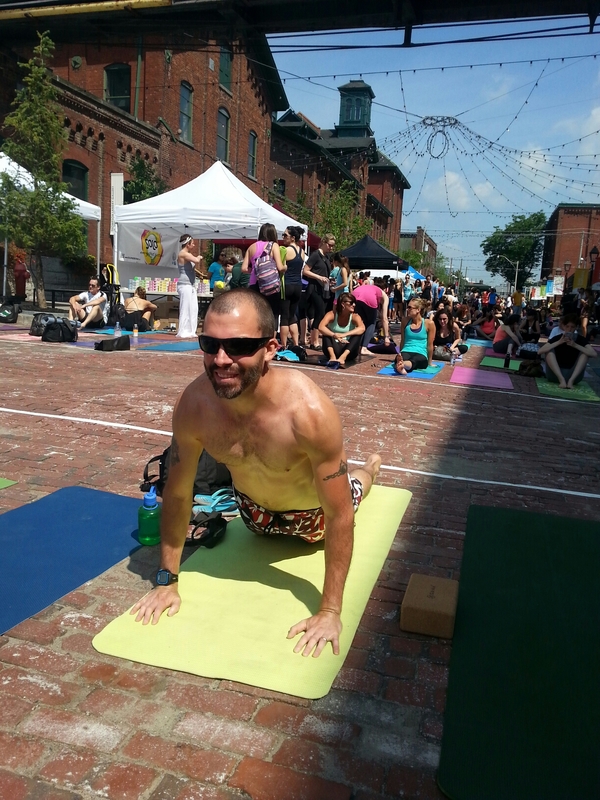 Tomorrow is International Yoga Day and I will be doing yoga with many others in Toronto’s Distillery District! 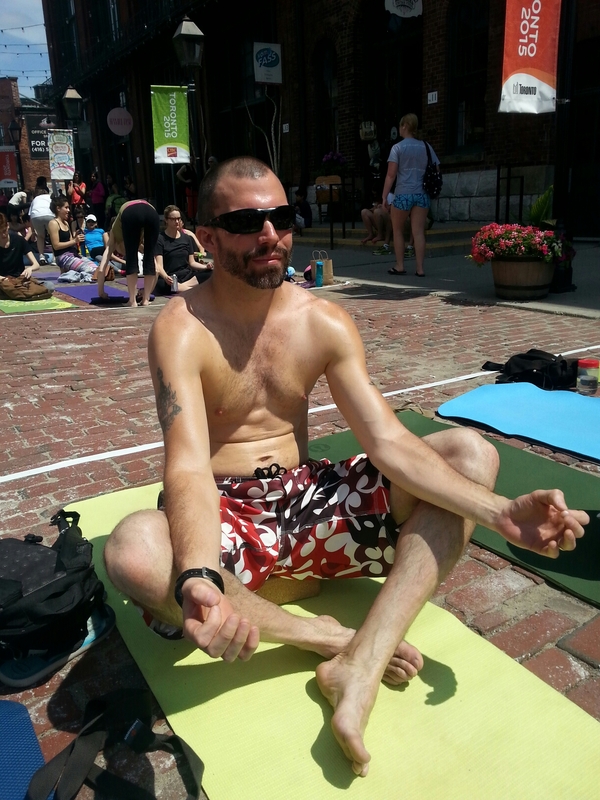 It is a lot of fun as I was there for last year’s International Yoga Day. I did all of the yoga classes and got pretty badly sun burnt lol! I’m not doing all the classes but I will do at least 3. There’s about 8 classes throughout the day 40 minutes long each if it is the same as last year. I should get to bed so I will sign off now. 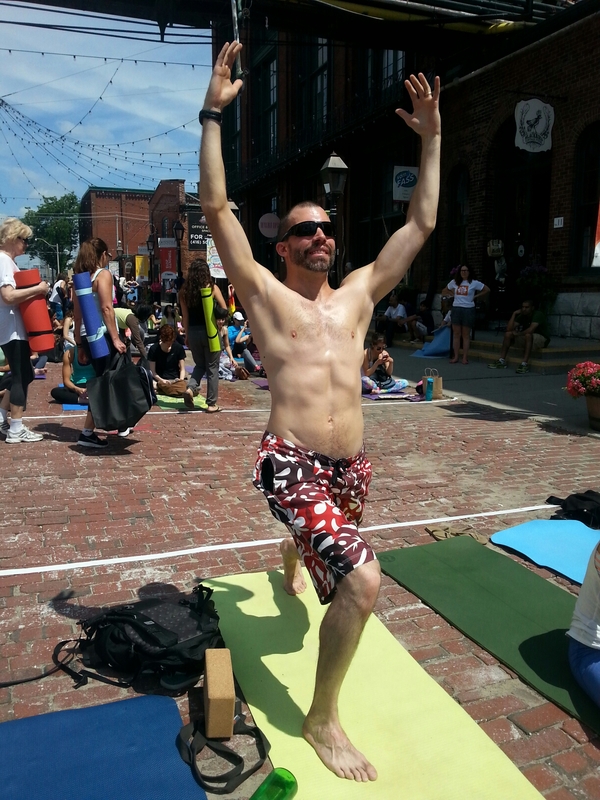 If you are doing yoga tomorrow enjoy your practice otherwise enjoy the rest of your weekend however you are spending it! It has been a few weeks since I last blogged. A lot has been going on and I got out of the habit of blogging. I hope to blog more regularly from now on. I caught shingles back in march which really sucked. They were on my leg and made going to work very uncomfortable. I couldn’t work out for a month till they healed. They are better now but the marks are still on my leg. My brother got married back in April! He and his wife decided to have they’re wedding in Mexico. They resort was beautiful and we all had a great time. We were there for a week at the end of April. The wedding was wonderful as well as the reception afterwards. My wife unfortunatley couldn’t make it as she couldn’t get the time off work. I was able to call her everyday either from Skype or the resort had an App in which I could call her for free. I have not been able to afford to race this year and am not training for anything at the moment. I have been working out lots though. Trying to run and do yoga pretty regularly. I also try to make it to the gym and lift weights a few times a week. I got my 15 year service award last week. My company let everyone who was getting their 5, 10, 15, 20 & even a 25 year award get off work at 10:30 last Friday & have lunch at The Garden Center. It was really nice and it is hard to believe I’ve been with my company 15 years! Well thats all I have for now! Hope everyone is having a great day! Cheers! Last night the clocks went ahead an hour which really sucked. My wife & I went to a play called Blythe Spirit which was really good but it was at least two and a half hours long. We took the bus into Toronto to Union Station which is great. It saves on parking and the stress from traffic. Our show started at 8pm and didn’t finish untill at least 10:30-10:40. So we didn’t catch the bus till 11:30 getting us home after 12am. I had a hard time falling asleep and though I did sleep a fair amount of hours it didn’t feel like it. This morning I missed church as I couldn’t get up in time which sucked because it has been at least two weeks in a row that I have missed. I have to go next Sunday as the Sunday after that my wife and I are in Montreal. 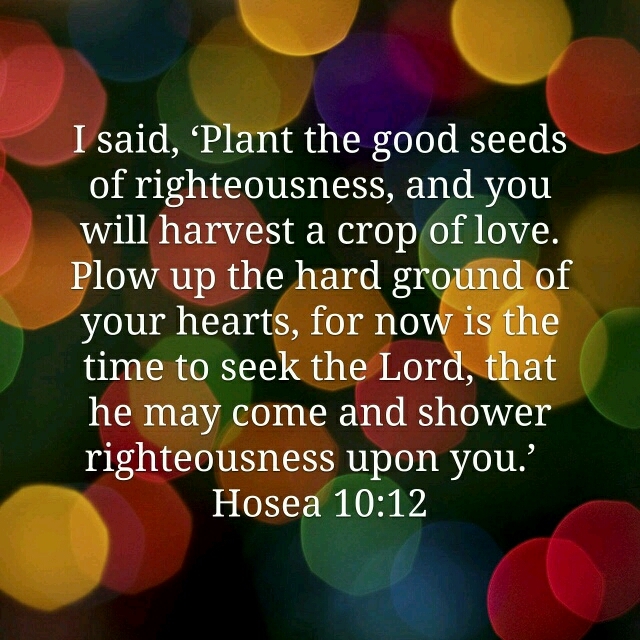 I did watch a Joyce Meyer broadcast and got my sermon plus did my reading for the Bible in 90 Days. Had a bit of a rest in the afternoon and my wife and I watched a show we like called 12 Monkeys. Then I went and worked out. I ran outside for almost 50 minutes then did a bicep & tricep weight workout at the gym. All in all a good day! I’m hoping to do some laundry this evening, watch a bit of tv and maybe do some yoga before bed. I hope everyone is having a great day! Cheers! Pretty good day so far. Got about 7 hours sleep last night which had to be good for my cold. Relaxing morning then went to the gym early afternoon. Ran 40 minutes on the treadmill and 20 minute weight workout focusing on legs. My wife and I are seeing a play today called Blythe Spirit which should be good. Hope everyone is having a great day! Cheers!